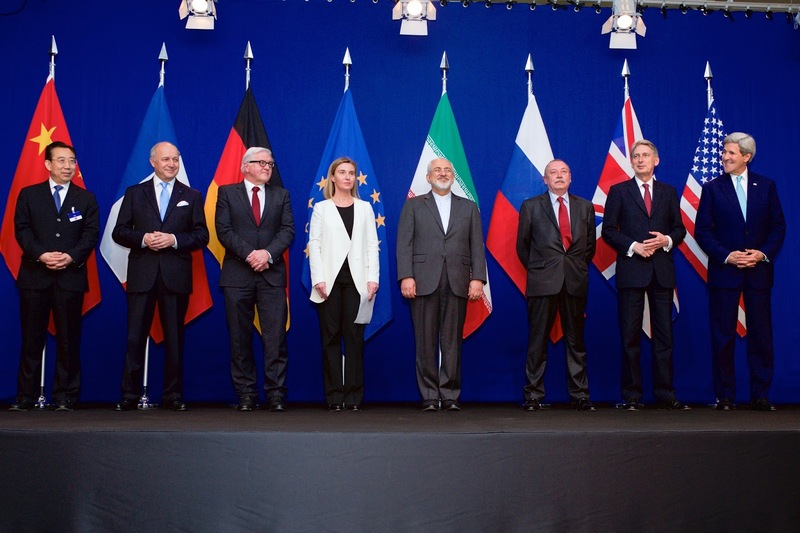 Middle East Perspectives by Rick Francona: Is there a fix to the flawed Iran nuclear deal? 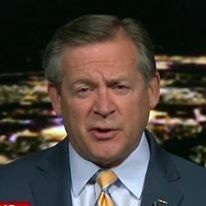 On January 12, President Donald Trump issued a statement about his planned actions to address what he believes (correctly) is a flawed agreement with Iran concerning its nuclear program. The Joint Comprehensive Plan of Action (JCPOA) was concluded in 2015 between Iran on one side and the five permanent members of the United Nations Security Council*, Germany, and the European Union on the other. U.S. law requires the President to certify every 90 days that Iran is in compliance with the accord. In October 2017, President Trump refused to certify Iran as being in compliance, triggering a 60-day window for Congress to decide if it wished to re-impose sanctions on Iran. Essentially, the President punted the ball - not certifying Iran's compliance, but remaining as part of the deal. It is close to "having your cake and eating it too" - the President "fires a shot across the bow" of the JCPOA without actually having to kill it. There is a second factor to be considered here. The law also requires that every 120 days the President waive existing U.S. sanctions on Iran. That waiver of sanctions is the key part of the agreement, the glue that holds it all together. The thing that brought the Iranians to their knees and thus to the bargaining table were crippling U.S. sanctions, particularly lack of access to the American banking system and use of the U.S. dollar. Nations who wanted to do business with Iran were afraid of secondary U.S. sanctions, the oft-repeated threat being, "You can do business with Iran or you can do business with the United States, but not both." It was an easy call for most - do business with the world's largest economy, or do business with Iran. To put that in perspective, using 2014 figures, the U.S. GDP was $17.4 trillion, Iran's was $425 billion (or 80 percent of the U.S. defense budget). While the refusal to certify Iran in compliance with the JCPOA is certainly a serious step, failure to waive U.S. sanctions will essentially collapse the agreement. As I have said numerous times since the JCPOA was adopted, "The [JCPOA] was about sanctions relief and greed. Russia, China and Europe want to sell stuff to Iran, and Iran wants to buy it." If the rest of the world won't do business with Iran, Tehran has no incentive to stay in the agreement. You can read the official Statement by the President on the Iran Nuclear Deal - I will address what I believe are the key points. According to the statement, the President will continue to waive U.S. sanctions for 120 days, but if there are not binding fixes to the JCPOA, he will not do so in the future. Iranian Foreign Minister (and principal negotiator) Javad Zarif, stated that the agreement "cannot be renegotiated in any way," and that Tehran "will not accept any changes in this agreement now or in the future, nor allow it to be linked to any other issue." President Trump was equally clear in his statement: "I have not yet withdrawn the United States from the Iran nuclear deal. Instead, I have outlined two possible paths forward: either fix the deal’s disastrous flaws, or the United States will withdraw. ... Today, I am waiving the application of certain nuclear sanctions, but only in order to secure our European allies’ agreement to fix the terrible flaws of the Iran nuclear deal. This is a last chance. In the absence of such an agreement, the United States will not again waive sanctions in order to stay in the Iran nuclear deal. And if at any time I judge that such an agreement is not within reach, I will withdraw from the deal immediately." So, exactly what does the President want changed? What would it take to keep the United States from essentially abrogating the JCPOA? Mr. Trump wants Congress to draft legislation that addresses several issues. -- It must demand that Iran allow immediate inspections at all sites requested by international inspectors. To me, this is a key issue. I have argued that it is impossible to certify that Iran is in compliance with the JCPOA when it refuses to allow access to its military facilities. -- It must address the JCPOA's expiration dates (the so-called sunset clauses) for various activities, in essence, legalizing an Iranian nuclear program after 10 years. The President wants the provision of the agreement to be permanent, thus denying Iran future access to the fissile material they would need to produce a nuclear weapon. -- It must state that long-range missile and nuclear weapons programs are inseparable, and that Iran’s continues research, development and testing of ballistic missiles must stop or face additional sanctions. This would merely re-instate a prohibition that then-Secretary of State John Kerry capitulated on - at Russian request - as a sweetener for the Iranians. In my assessment, there is nothing wrong with AN agreement with the Iranians on their nuclear program - there is plenty wrong with THIS agreement. Although I would like to see all of he changes Mr. Trump wants, I don't think it is possible. Of the three issues - inspections, sunset clauses, and ballistic missiles - I think the only one that has a chance of success is expanded inspections, the "anytime, anywhere" mantra promised by President Barack Obama and Secretary Kerry (that was the first thing Kerry capitulated on). Without the ability to inspect all of Iran's suspect facilities, it is impossible for the IAEA to accurately certify that Iran is in compliance with the JCPOA. Put me in the category of those who believe that Iran maintains a nuclear weapons research and development program. As long as their military facilities remain off limits, we cannot rely on the JCPOA. Forget help from the Europeans and Chinese in the attempt to redefine the execution of the JCPOA. They are in this not to address Iran's nuclear ambitions - they don't care, they regard this as an American (and Israeli) problem. To them, it's solely economic. We are about to come to a strategic crossroad. Does the United States take the hard line and attempt to change the toothless JCPOA currently enforced by a spineless IAEA, or continue the status quo whereby Iran continues to overtly develop nuclear-warhead capable ballistic missiles and, in my mind, covertly develop a nuclear weapons capability (as I would)? Much of this depends on Iran's actions/reactions. At this point in time, for better or worse, the United States is the big kid on the block. Donald Trump is the President - does Tehran really want to go down this path?